There are many online tutorials for making 16th century hats but I haven’t found one that explains the process step-by-step with photos. And if you are like me, photos help so much! 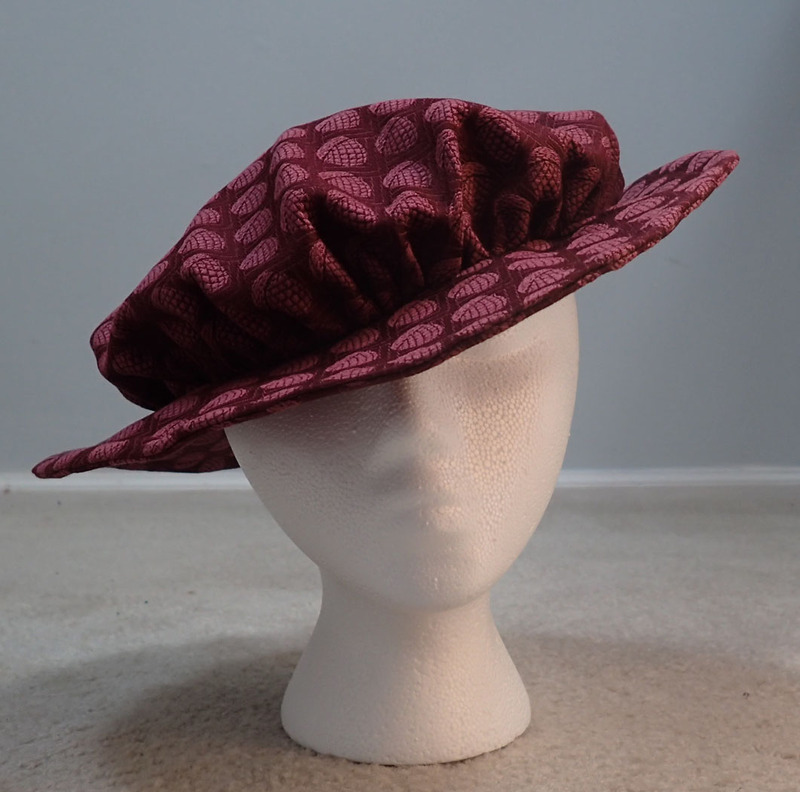 This tutorial is for making a Tudor flat cap, also called a Tudor bonnet, also called a Tudor soft cap by some folks. It can be knitted or make from fabric. Since I don’t knit, I had to make mine from fabric. I have tried several patterns for this project and ultimately, I modified a free online pattern to create my own pattern. (I can no longer find the source for the original pattern.) I have included the dimensions here so that you can recreate it at home. The pattern is a slight oval shape with the front-to-back dimensions about an inch longer than the side-to-side. ½ yard of 60” wide fashion fabric for the crown and brim. 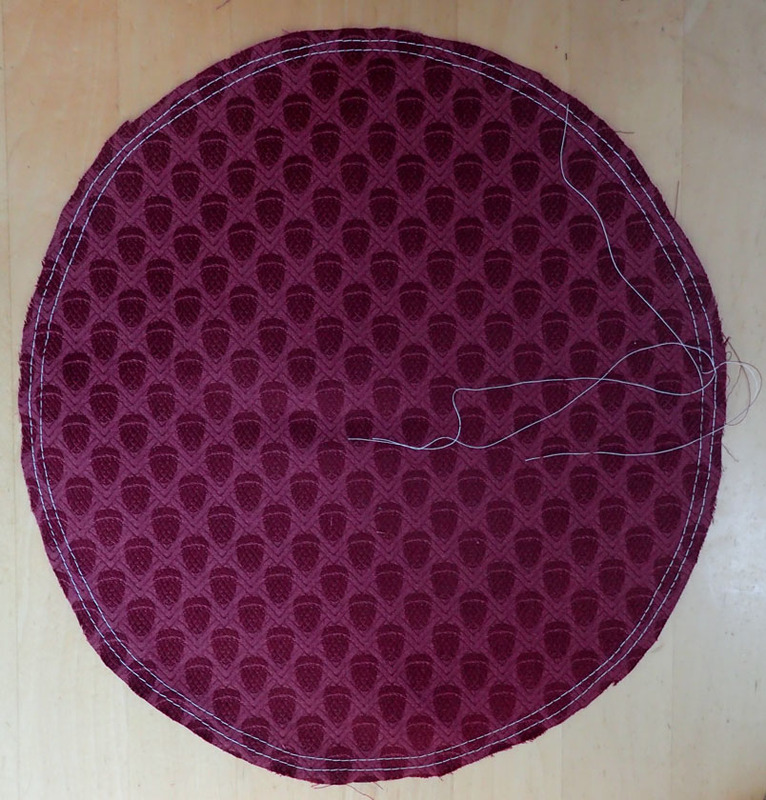 A square of 18 x 18” for lining the crown (if you choose to line your hat). 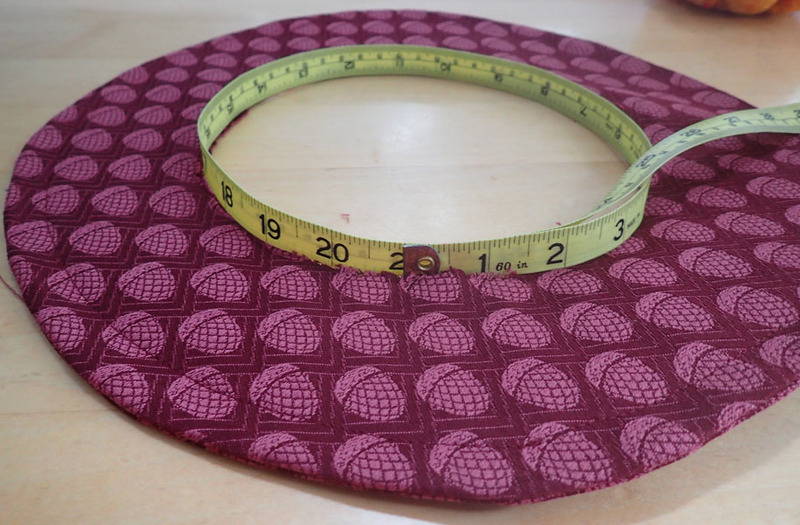 ½ yard of heavy interfacing for the brim. 1 1/2 yards of millinery wire for the brim. Cut the buckram for the brim. Place the lighter-weight buckram on one side of the heavier buckram. 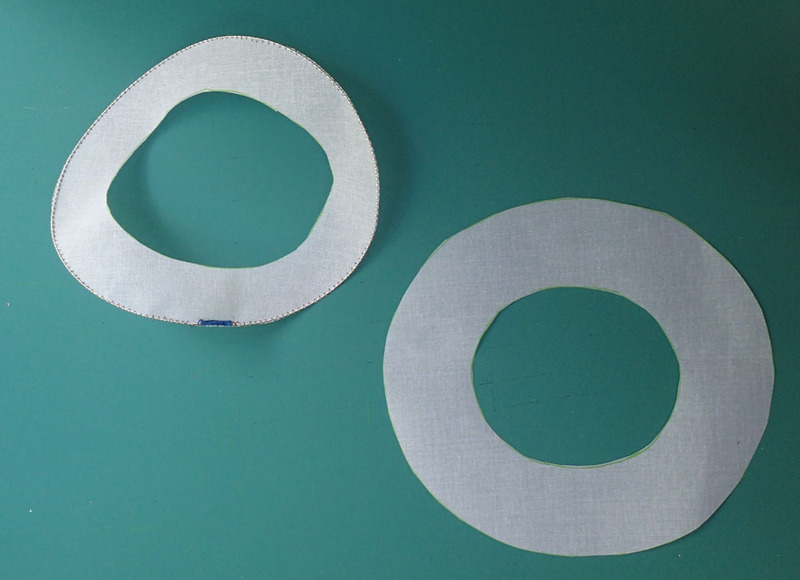 Fold the outer edges of the lighter-weight buckram over the millinery wire and baste in place, clipping curve where necessary. Do the same for the inside of the brim. 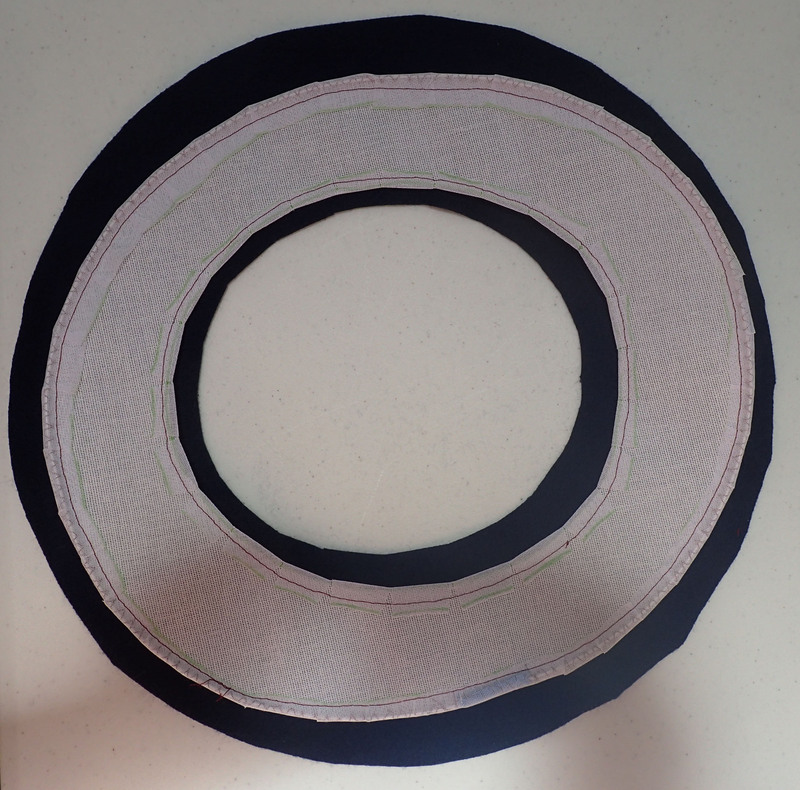 Place the buckram on one side of the fashion fabric. Add any decoration that you’d like to add to the brim now. 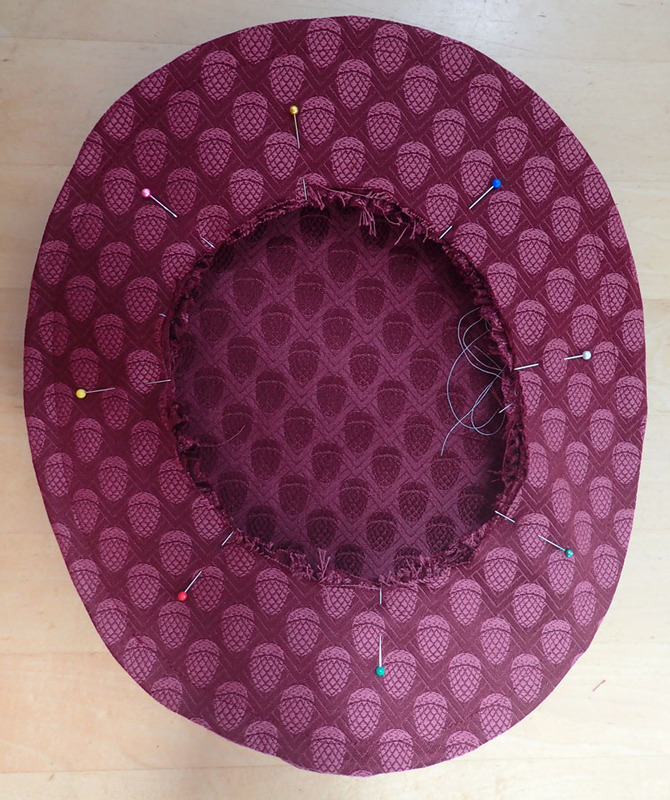 Once the decoration is added, pin the second fashion fabric brim to the uncovered side of the buckram. 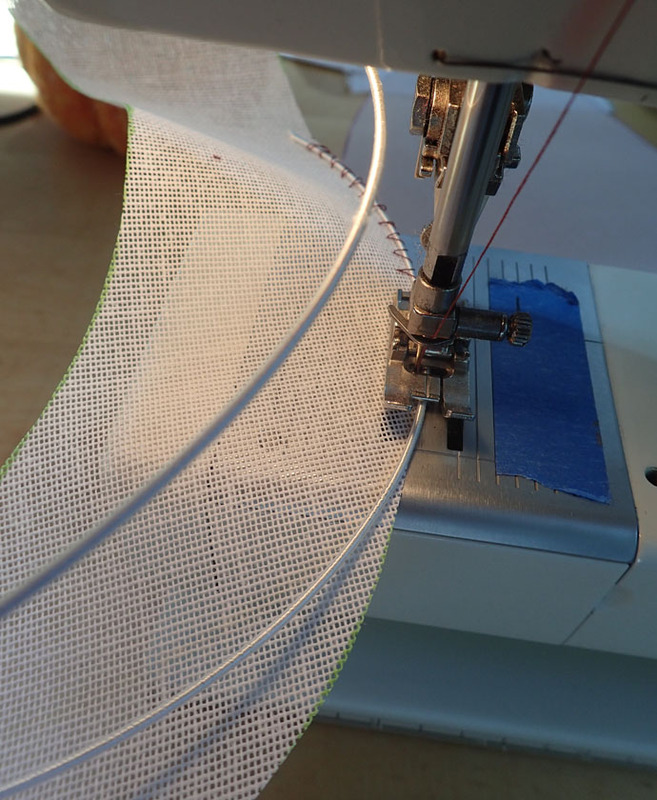 Fold the edges under and stitch to the brim. Sew millinery wire to buckram edge. I did this very very slowly, hand-cranking the wheel. I did not use the pedal. 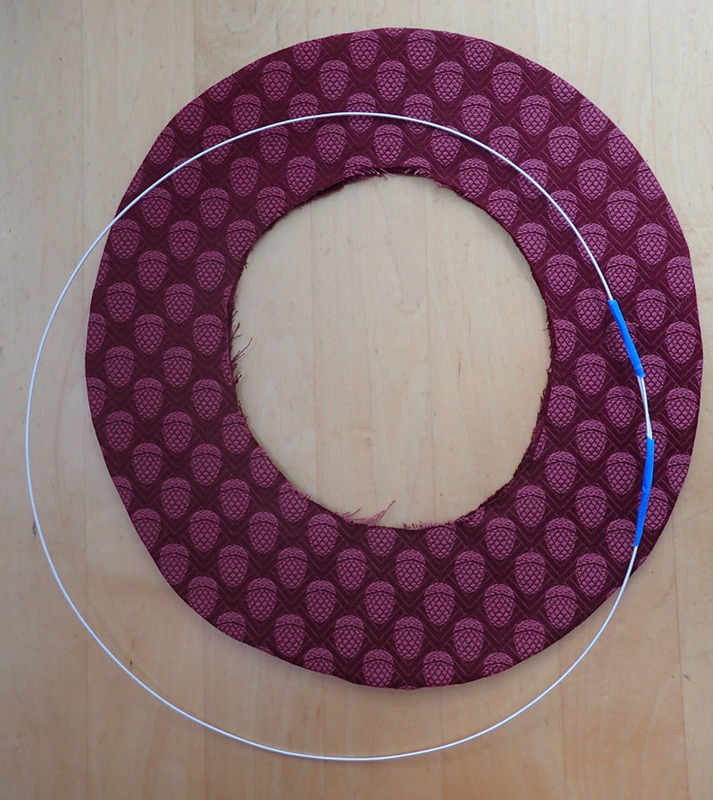 Heavy buckram with millinery wire on the left, lightweight buckram on the right. 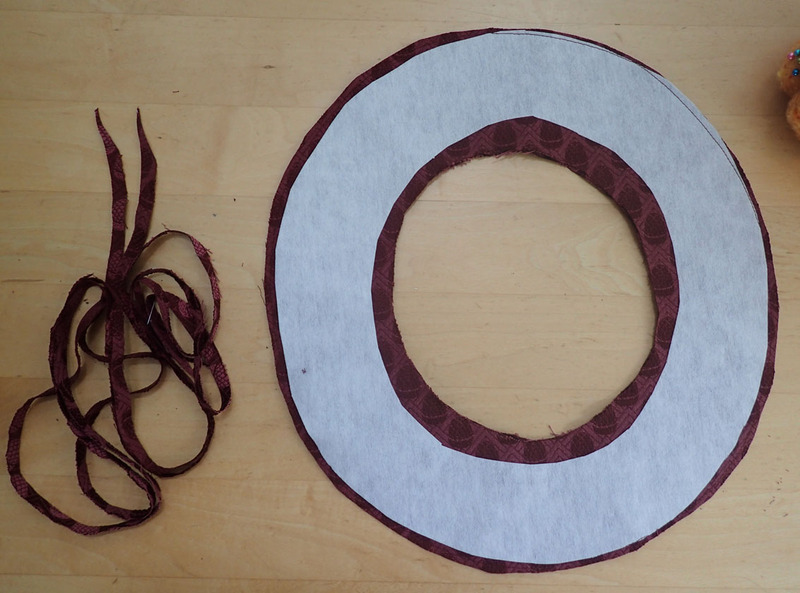 Cut two pieces of heavy interfacing for the brim. Iron the interfacing to the wrong side of both brim pieces. Pin the brims together, right side to right side. 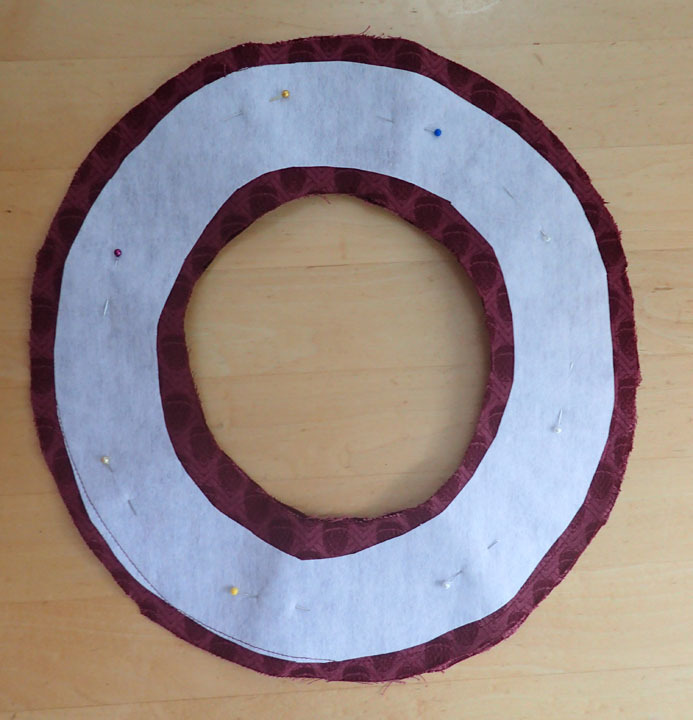 Sew the outer edges of the brims together. Turn the brim right side out and press. Try the brim on your head to see if it fits. If you’re going to wear a coif or some other arrangement on your head under the hat, remember to put that on your head first before you size the brim. 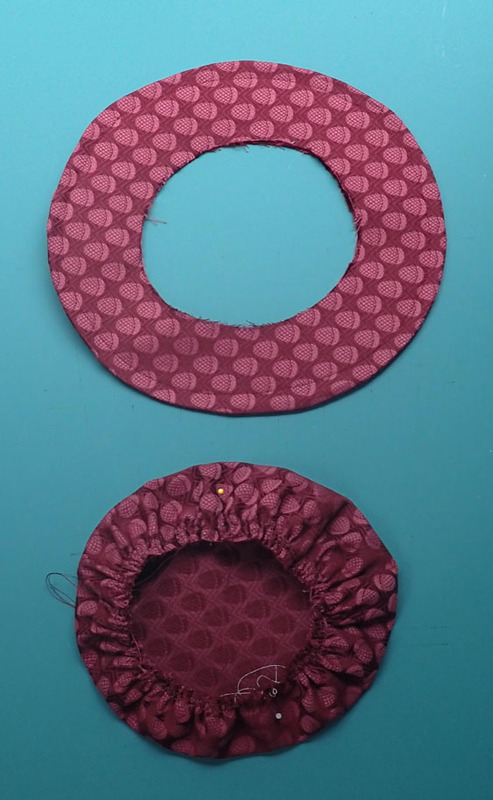 The brim should be a little tight because you’re going to lose another ½” all around the inside edge of the brim when you attach it to the crown. 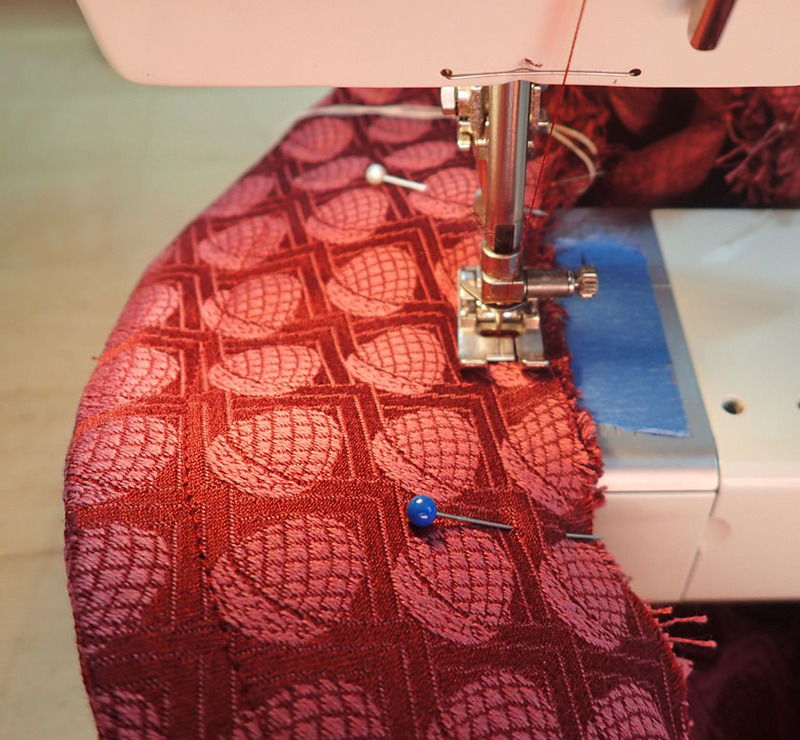 If the opening is too small, cut it open some more, being very careful to remove only a small amount of fabric at a time. You don’t want to make the opening too large. Once you have made the opening the size that you feel comfortable with, you are ready to attach the crown. Turn the brim right-side out. If you want the hat to be stiff so that it will stand up (think Jiffy Pop hat), then you will want to line the crown with heavy interfacing, buckram or a double layer of netting so that it will stand up. If you want a more relaxed looking hat, don’t interface the crown. Lining the crown is also optional. If you are making a wool hat, you may want to line the crown if you’re going to wear it in the winter. If you want to wear it in the summer, I wouldn’t line the crown. It’s going to be hot enough as it is. 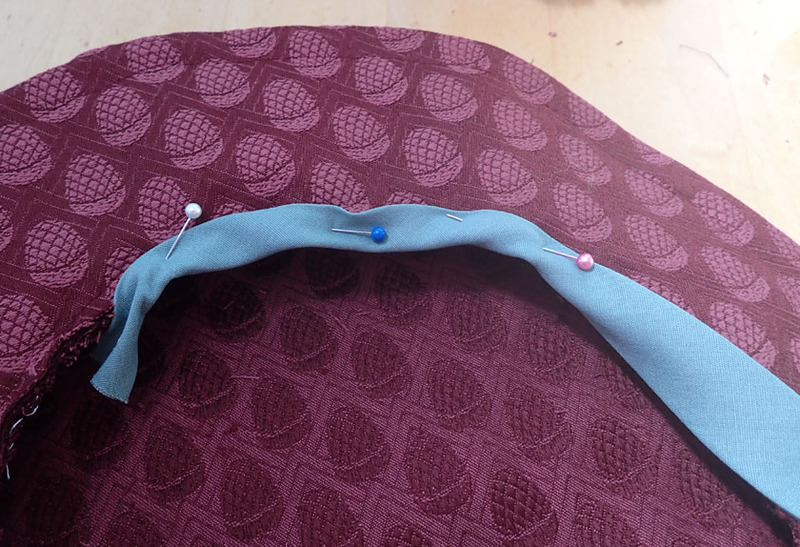 Gather the outer edge of the crown by using gathering stitches or by making pleats in the fabric. 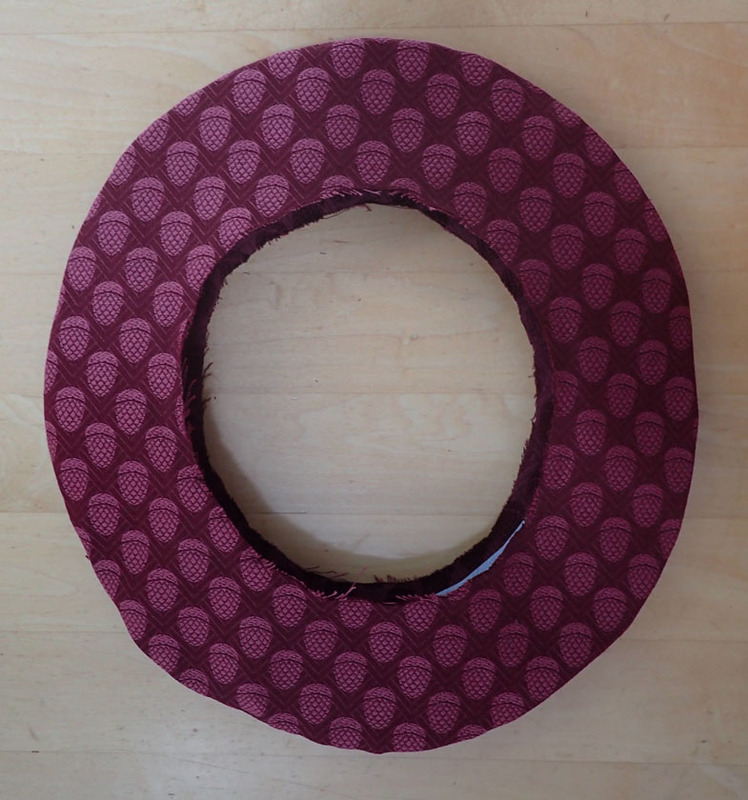 The gathered circumference of the crown should match the inner edge of the brim. I didn’t line this crown because the hat is for summer. 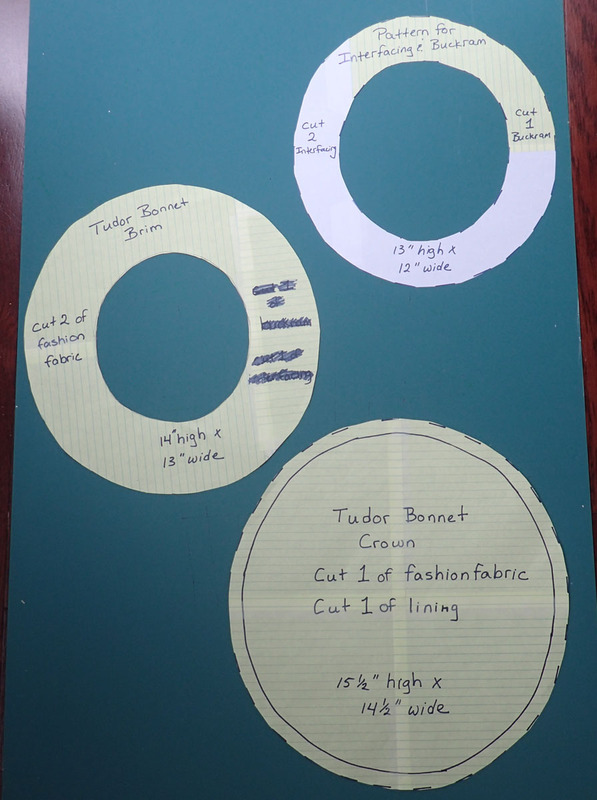 The method used in the Tudor Tailor recommends that you finish both the crown edges and brim edges separately, then sew them together. The difference between their Tudor bonnet and this Tudor bonnet is that their brim is tipped up, so you can’t see where the crown and brim are joined. 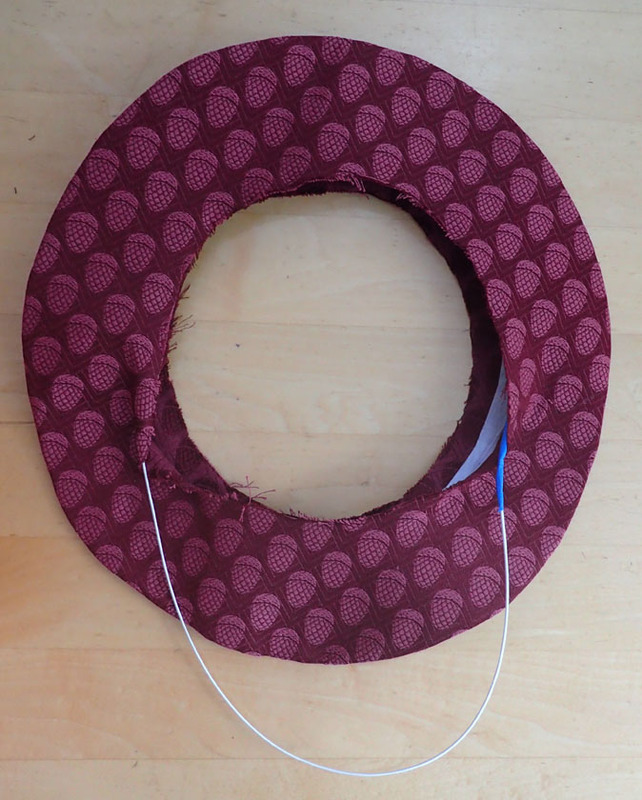 For this hat, attaching the crown to brim using the TT method would show. That’s why I recommend for this style that you sew the crown and brim directly together without finishing them first. Of course, your mileage may vary. If you have used thick fabric, grade the seams. 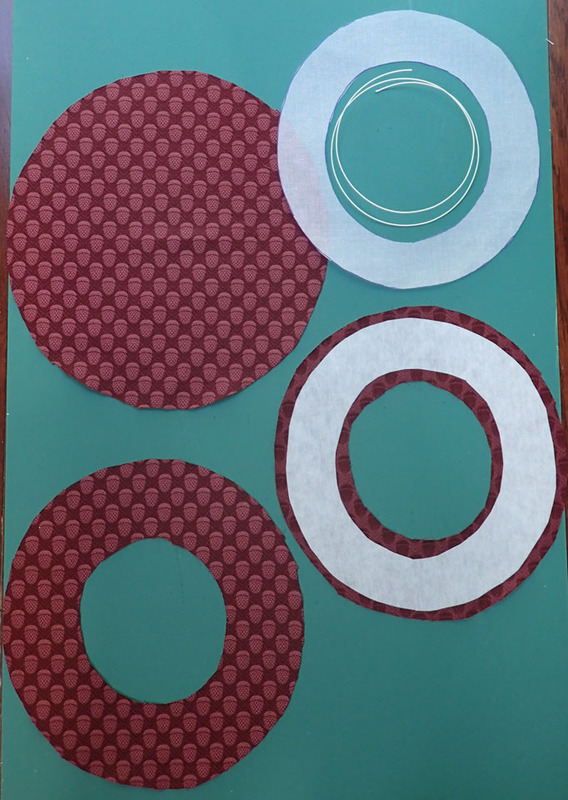 Cover the raw edges with a bias strip. I used a contrasting color for the photograph. To really finish the hat, I’d use a matching color. The last part is the most fun. You can decorate your hat with pins, feathers, ribbons or any other fancy accessories that you can find! Arnold, Janet. Patterns of Fashion 4. Costume and Fashion Press. 2008. Dreher, Denise. From the Neck Up: An Illustrated Guide to Hatmaking. Madhatter Press. 1981. Mikhaila, Ninya and Jane Malcolm-Davies. 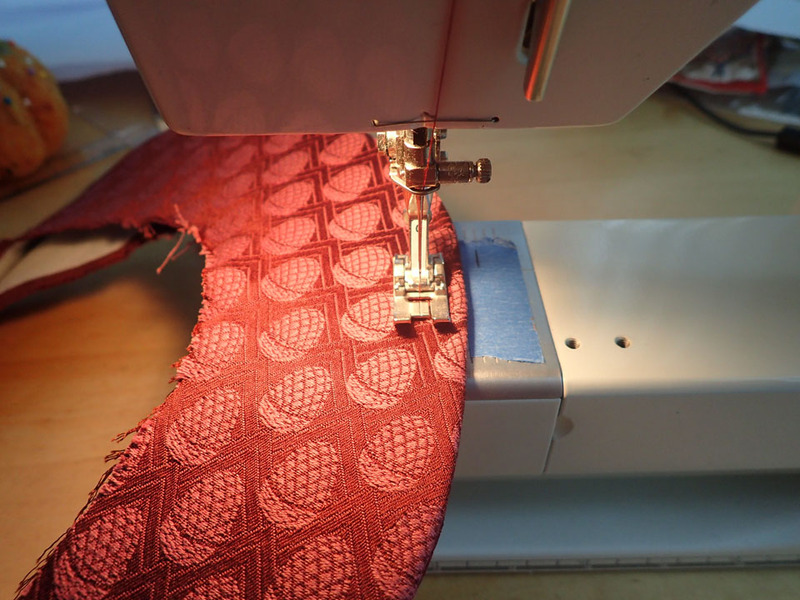 Tudor Tailor: Reconstructing Sixteenth-Century Dress. Costume and Fashion Press. 2006.